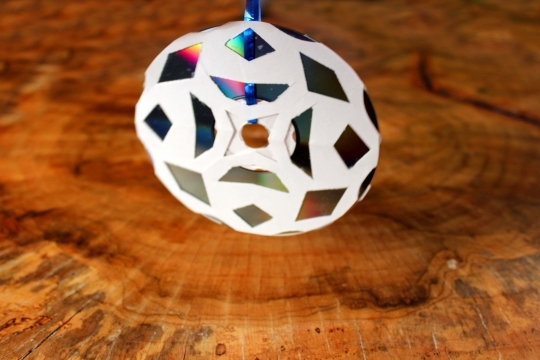 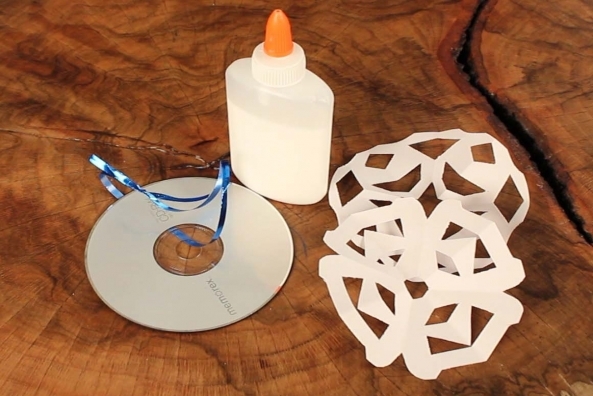 Old CD's become magically sparkling snowflakes with white paper and craft glue. 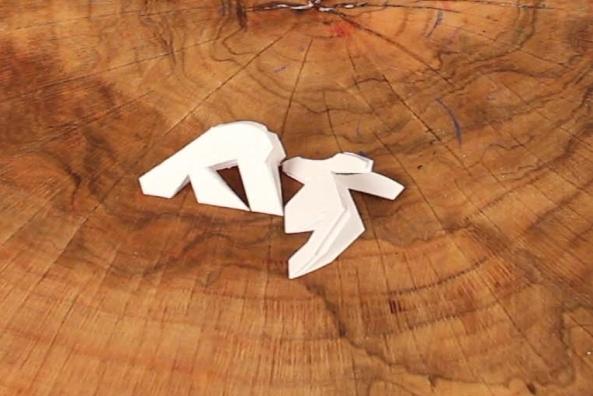 Everyone has a place in the world; what's yours? 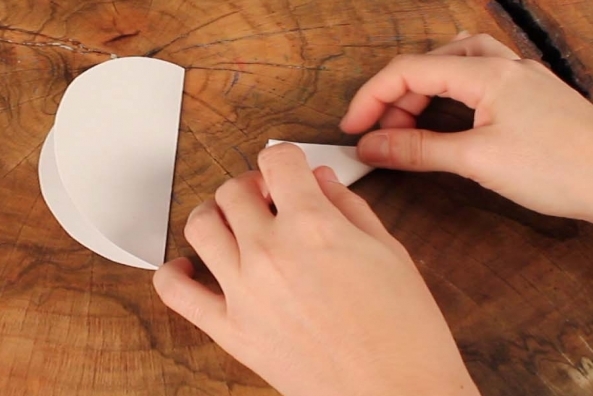 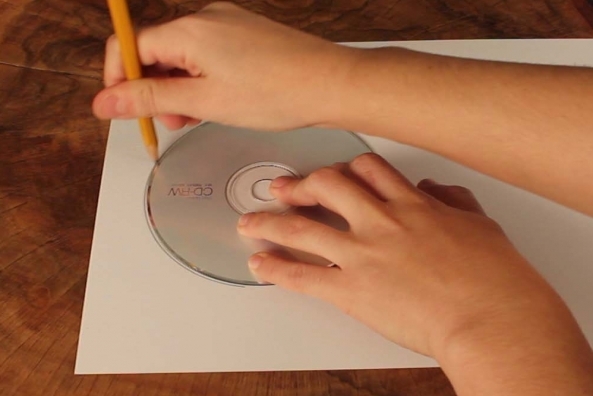 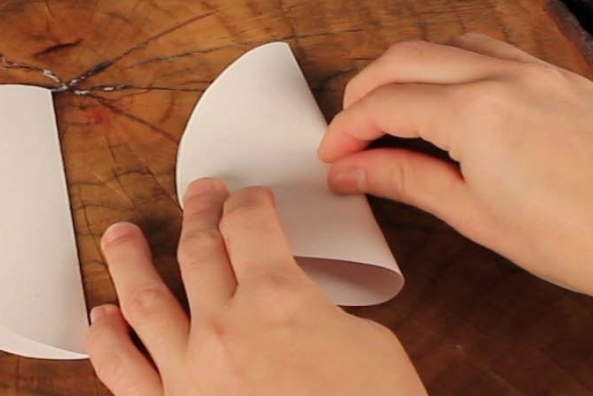 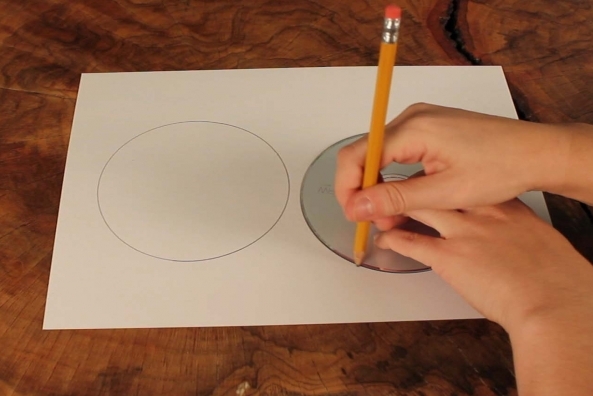 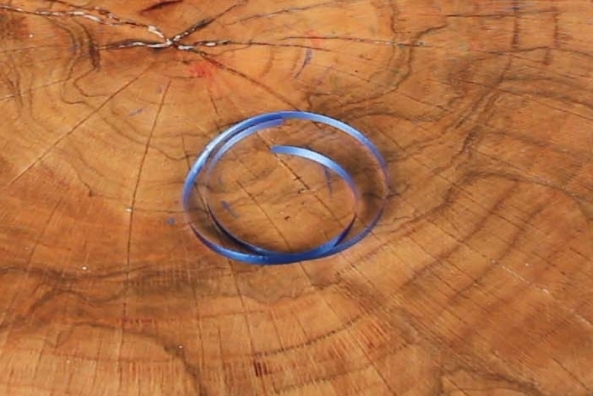 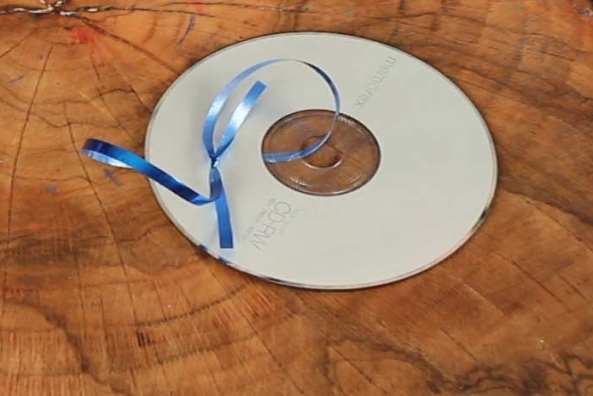 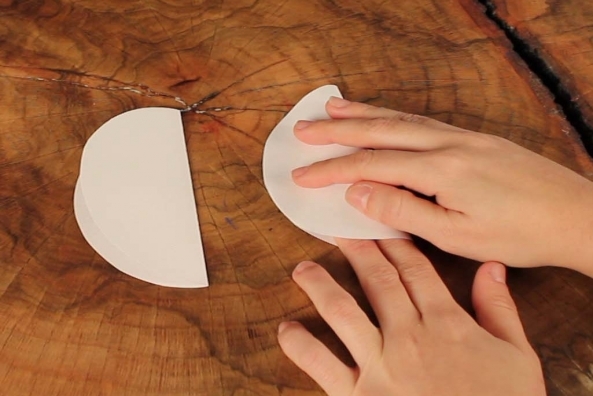 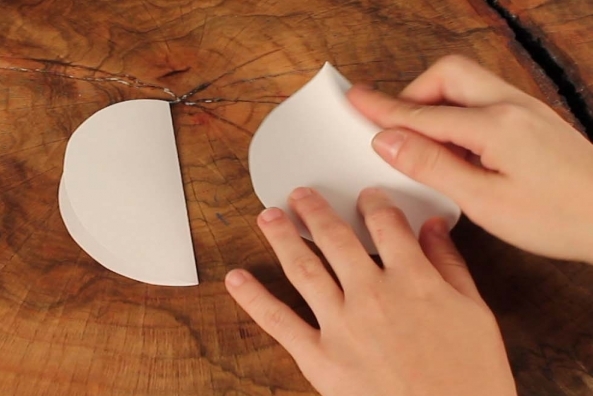 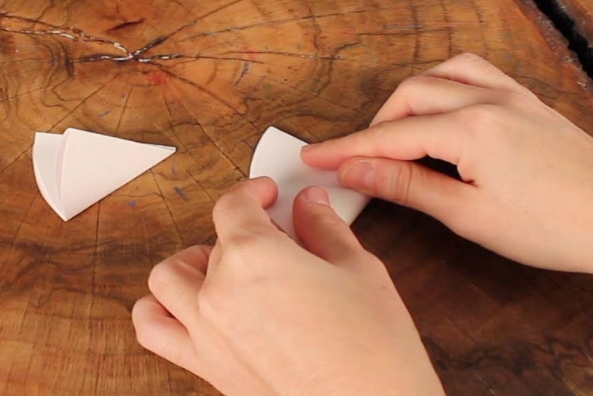 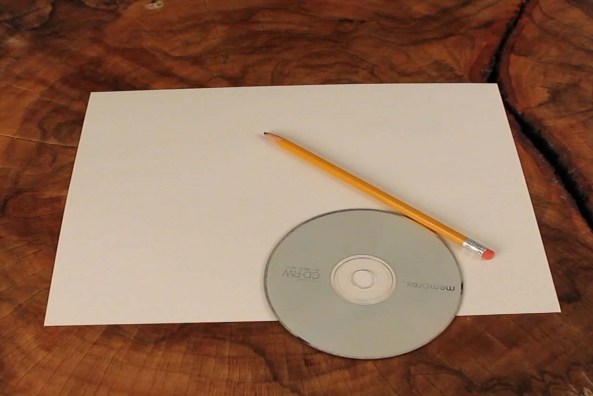 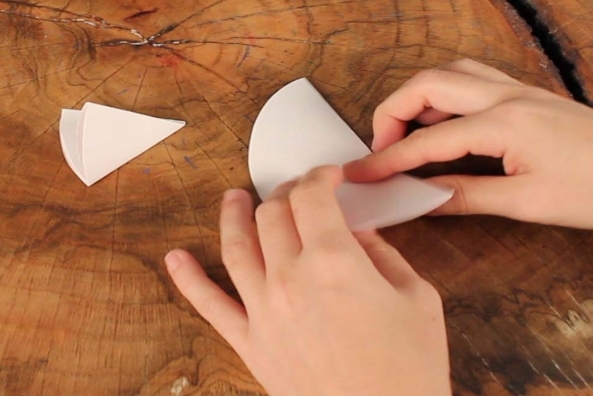 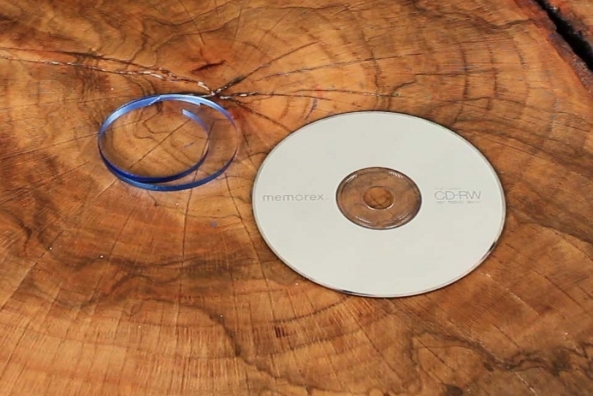 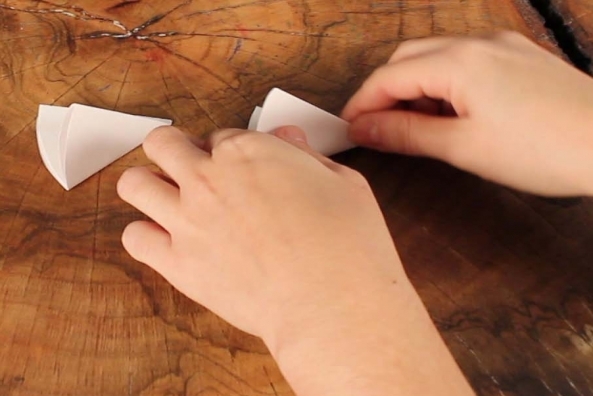 Trace a CD onto a piece of white paper two times. 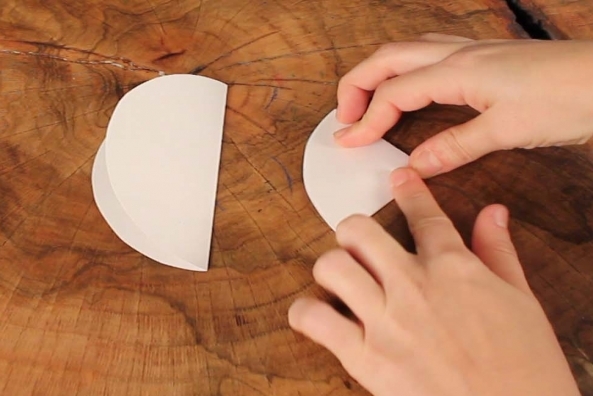 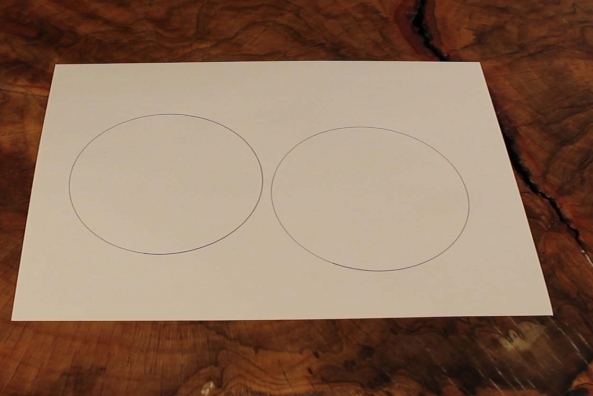 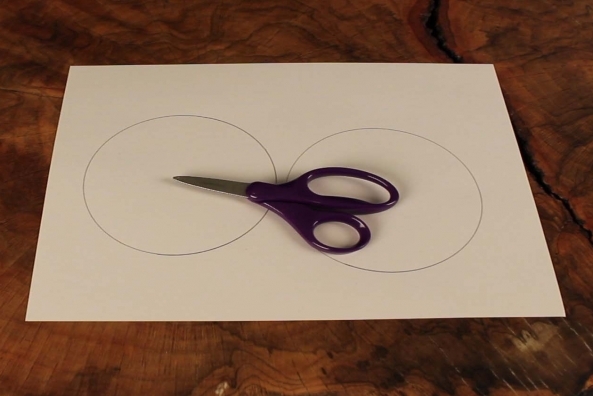 Fold the circles in half two more times. 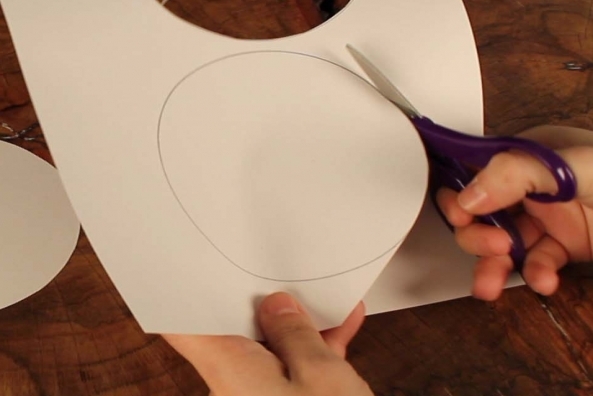 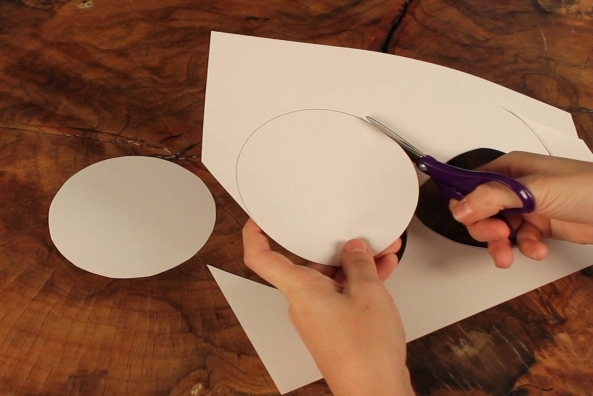 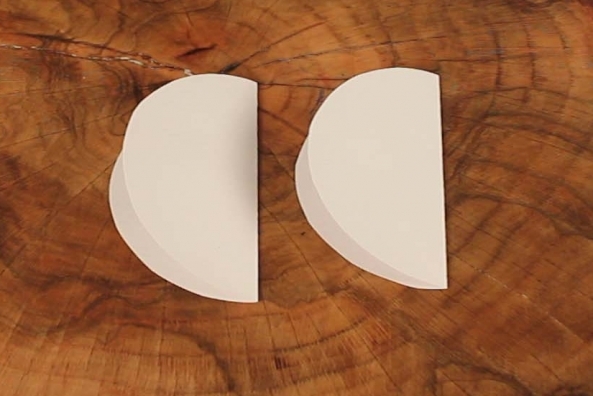 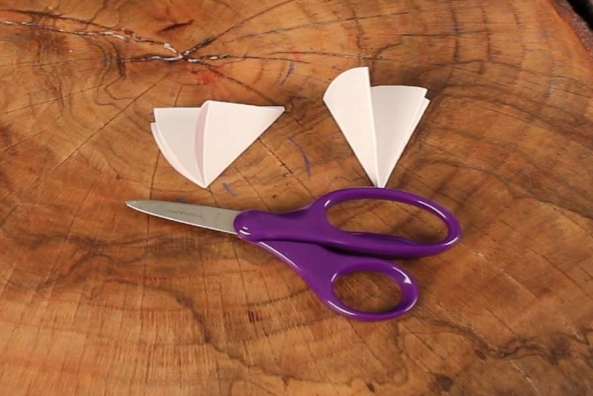 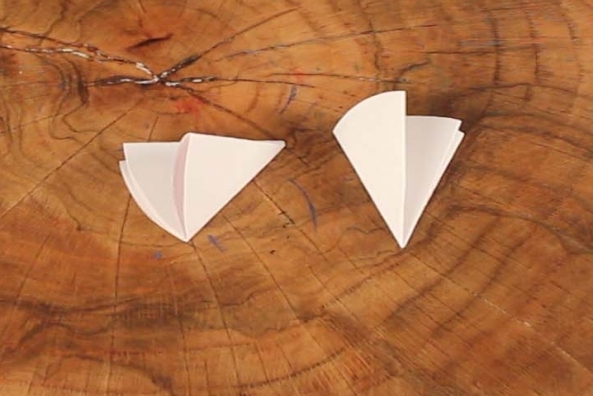 Cut out small shapes from the folded circles. 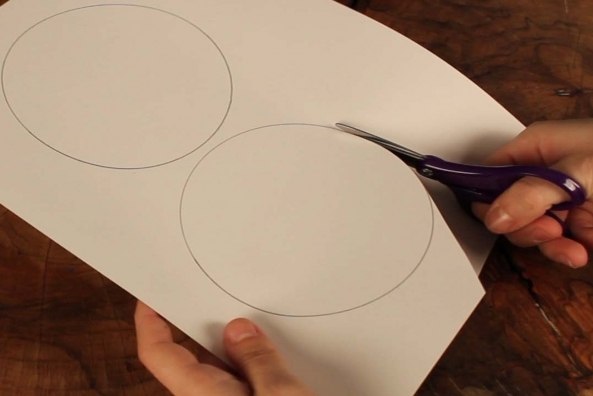 Open up the circles and you’ll see snowflakes! 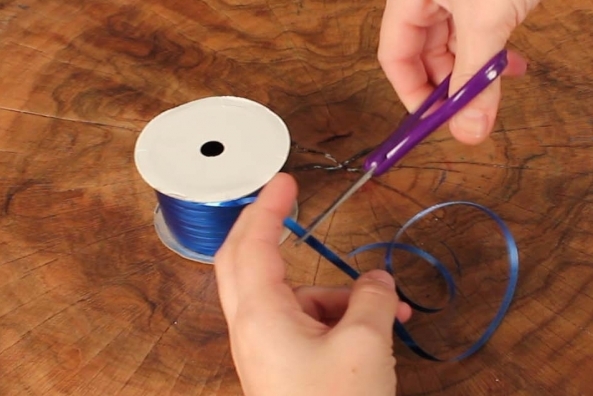 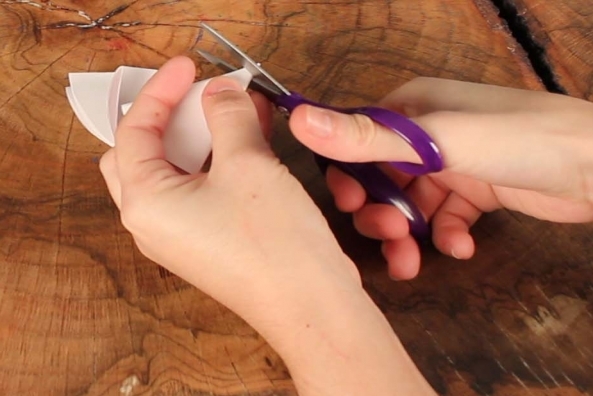 Cut a piece of yarn around your arm’s length. 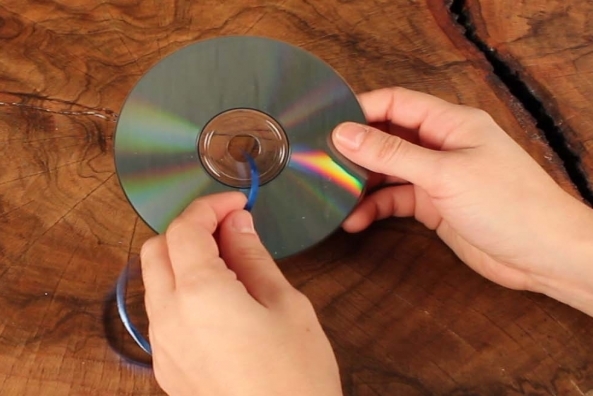 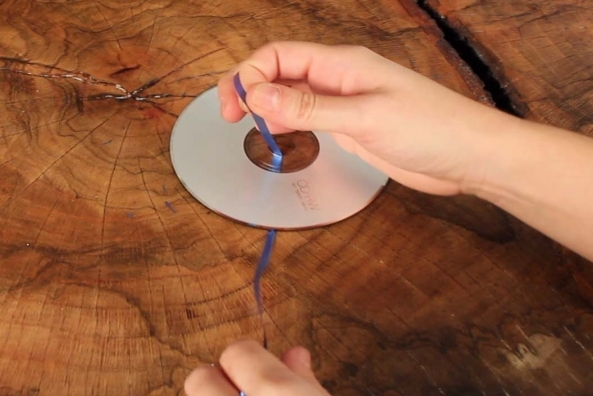 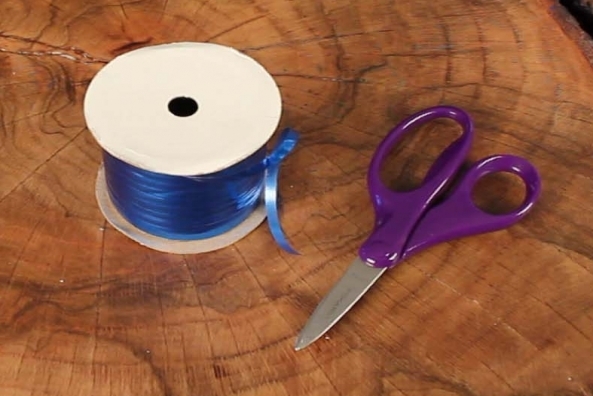 Tie the yarn into onto the CD. 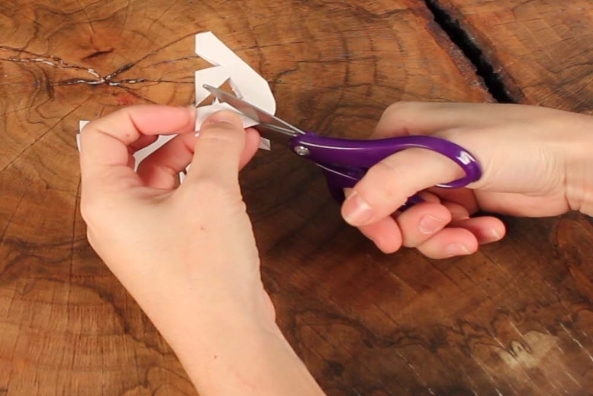 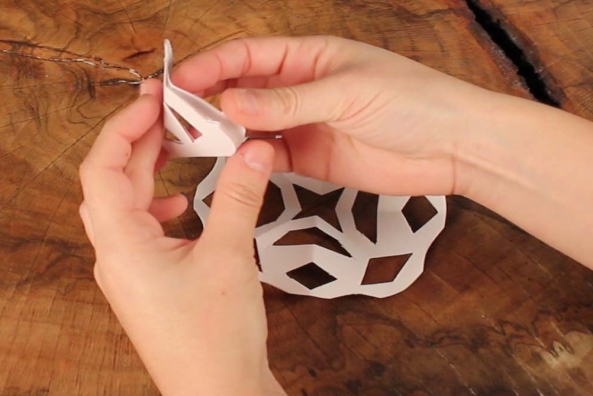 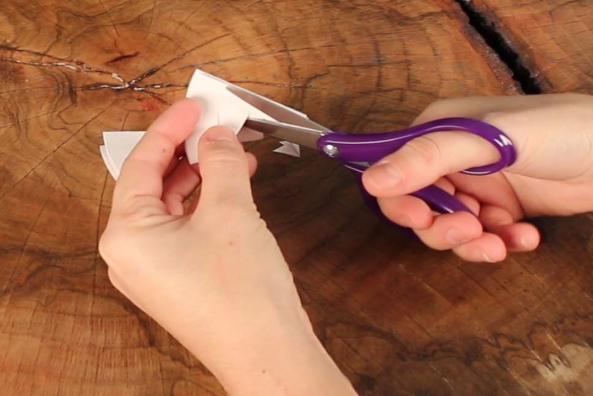 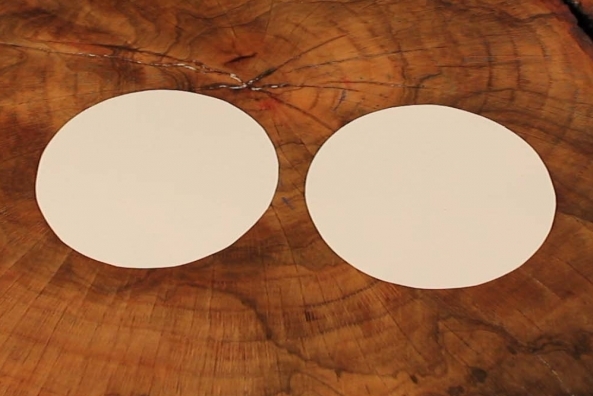 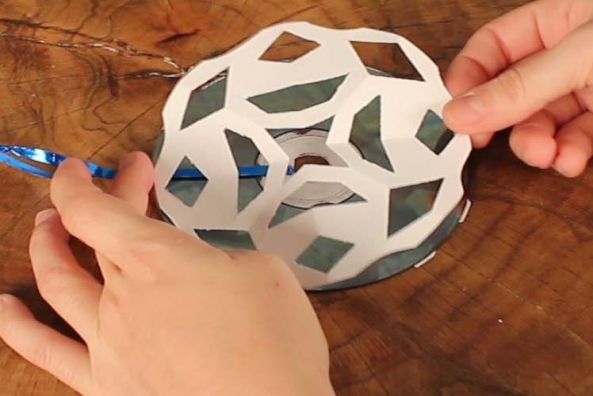 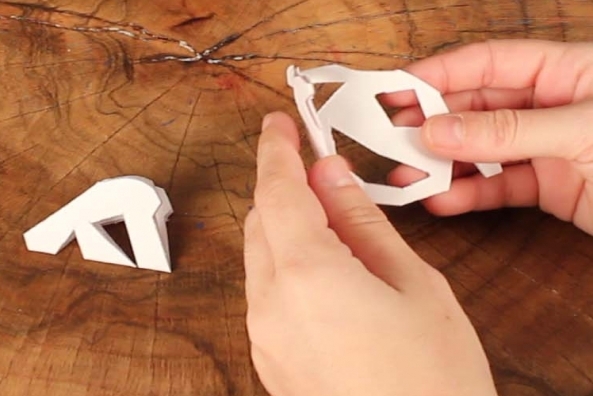 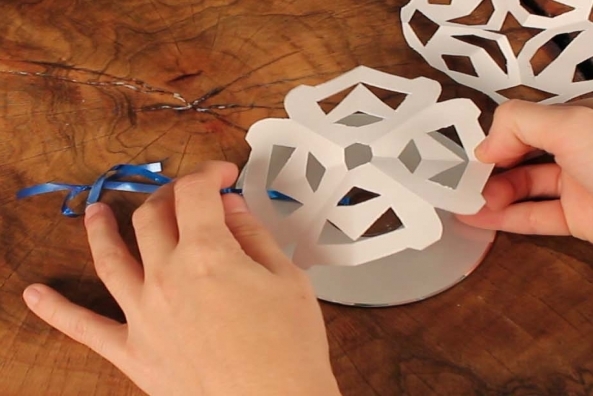 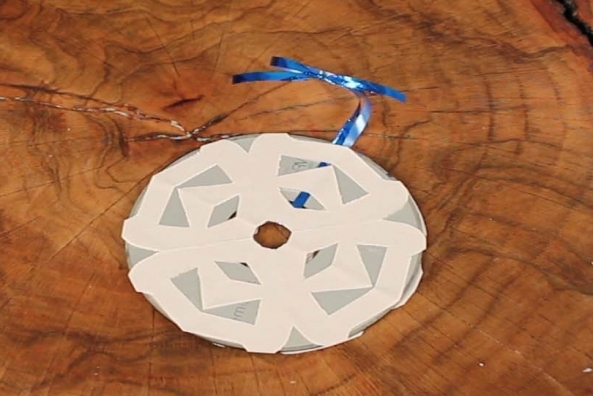 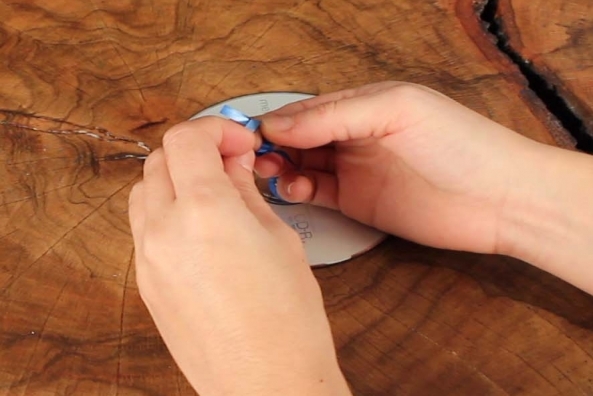 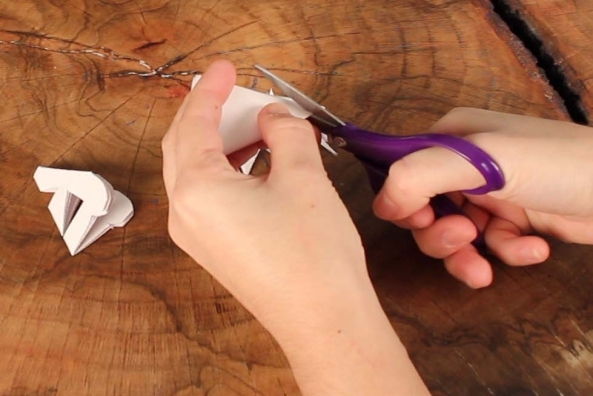 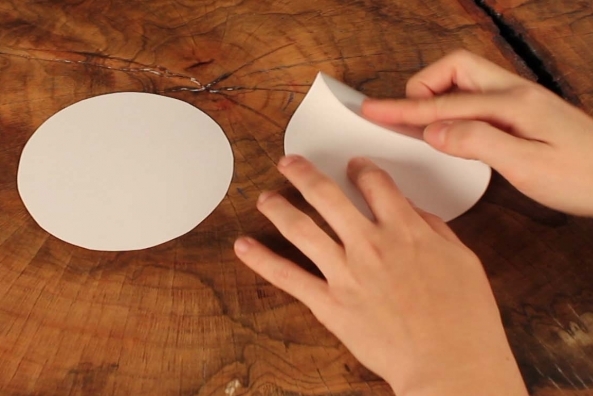 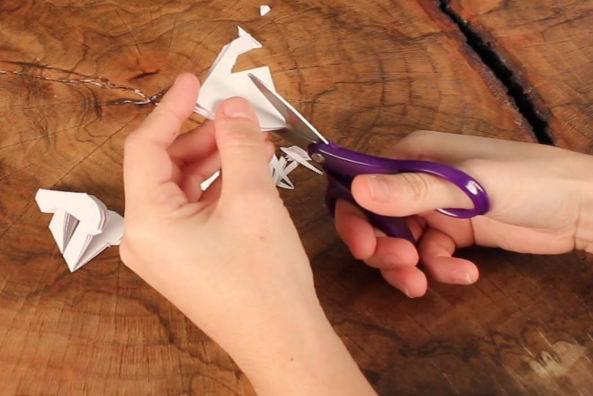 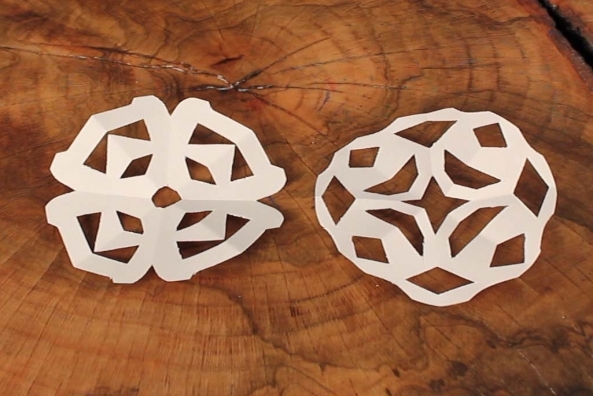 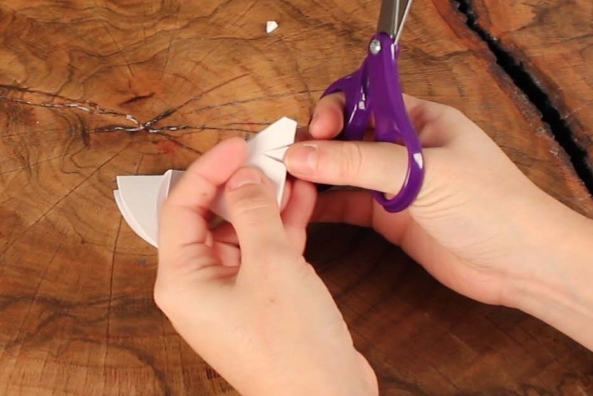 Glue a snowflake on either side of the CD.